That’s Hawaiian speak for “it’s easy,” “no worries,” “right on.” At least that’s what I’ve thought it to mean when I lived and played in the islands, decades ago. I’m sure over time it’s come to mean more things to more people. In fact, I was pleasantly surprised to find the following email from kamaainas (non-locals who become locals by virtue of moving to Hawaii or owning property there). I don’t know them personally, but feel I do through their intermittent communication. Hope you enjoy this mini “pigeon-english” lesson. Never know, it might come in handy on a future visit to my native island paradise. 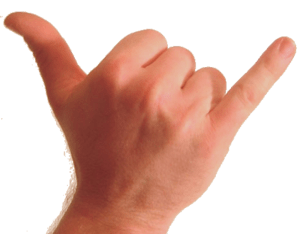 The “shaka” sign has meant many things over the years and is a definite part of Hawaiian culture and the aloha spirit that is always present in Hawai’i. Today, it can mean many things, including “Howzit?” (How’s it going? ), “No worries!”, “Thanks!” and much more. It is by far the most well-known and used gesture by Hawai’i locals and islanders, men, women, and keiki (children) alike. It’s used as a gesture of friendship, to greet, and to say goodbye. It’s how local people wave at others. 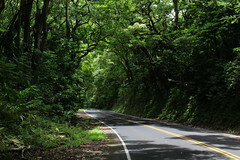 Interpreted to mean “hang loose” or “right on,” the “shaka” sign is a constant reminder that in Hawaii, it is not the norm to worry or rush. 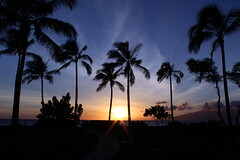 “Shaka” represents the embodiment of “island style.” It signals that everything is all right. To make a “shaka,” extend your thumb and pinkie while curling in the index and middle fingers. You can rotate your wrist too. If you’re new to the islands, don’t be shy about throwing up “shakas.” Just make sure you’ve got the hand gesture down first! This entry was posted in alternative medicine, education, entertainment, ethnic, family, Hawaii, humanitarianism, humor, inspiration, love, media, outdoors, parenting, people, photography, places, religion, self-help, social networking, spirituality, technology, transportation, travel, values, weather, writing and tagged "hang loose", "ohana", "shaka" sign, Aloha, blogging, caretakers, casual, community, compassion, cultures, easy-going, family, fun-loving, generosity, Hana Highway, hand gestures, Hawaii, Hawaiian, Hawaiian Islands, hospitality, Howzit, hugmamma's mind-body-soul, hugmamma.com, informal, Maui, nonverbal communication, pigeon-english, postaday2011, postaweek2011, road to Hana, sign language, tourism, www.Dailypost.wordpress.com, www.hugmamma.wordpress.com. Bookmark the permalink.